Hello to friends of the Lutheran Library Publishing Ministry. Since our establishment last summer, 69 books have been completed. All republished books are available at lutheranlibrary.org for free download in a variety of formats for Kindle, Apple, and other devices. 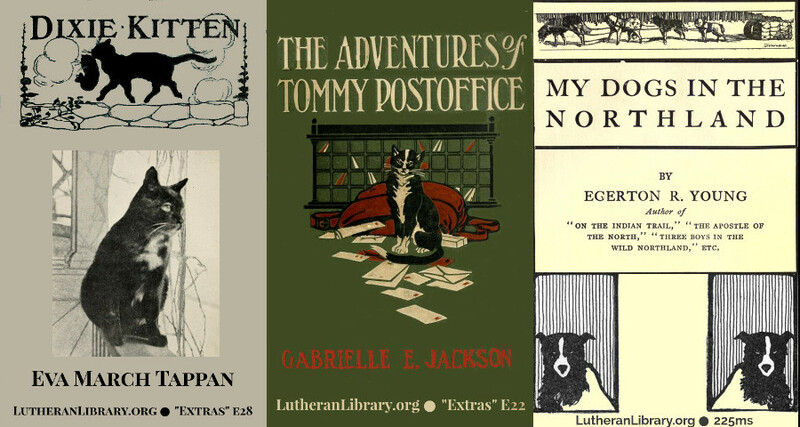 The goal of the Lutheran Library is to re-release well-written and readable books from sound, faithful American Lutherans of the past for the enjoyment and edification of a new generation. Ebooks are created with something called Cascading Style Sheets (CSS). Old-school computer programmers claim CSS is not really a language - but it does have a sort of logic to it. 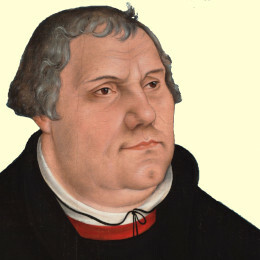 After a period of study with O’Reilly’s CSS guide, your editor has updated the Lutheran Library CSS files. You will be able to see an immediate improvement in all newly released ebooks. Over time, all of the back titles will be updated. 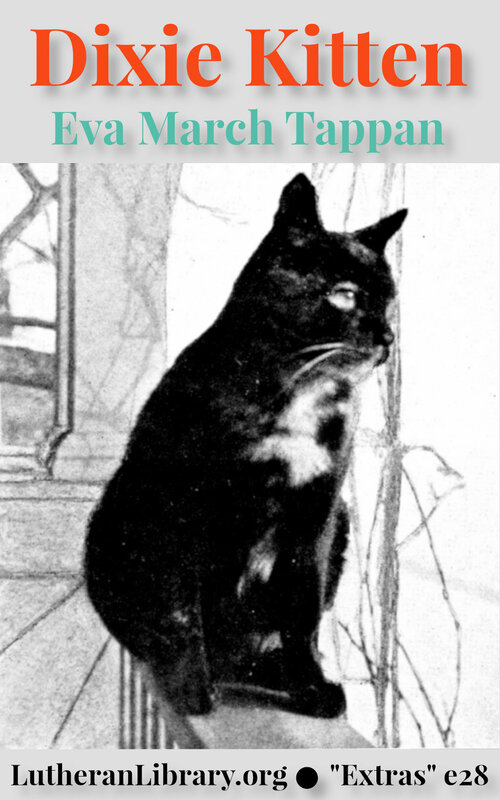 As always, if you notice any typographical errors or strange behavior in an ebook, let us know so that it may be corrected in future versions. You can find the version number of any Lutheran Library title at the bottom of the copyright page. Updated versions begin with v2. “The first thing that Dixie could remember was of being cuddled up to some one who was soft and comfortable and gave her sweet warm milk to drink. Somehow, she knew that this was her mother, and that her mother would feed her when she was hungry and keep her warm and take care of her and not let anything hurt her. This title is by a missionary to the Canadian wilderness. 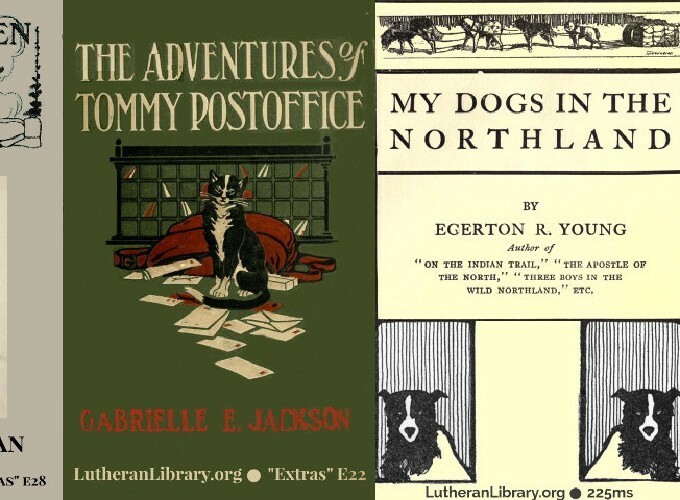 These true stories were an inspiration to Jack London, who used them as source material for his book, The Call of the Wild. 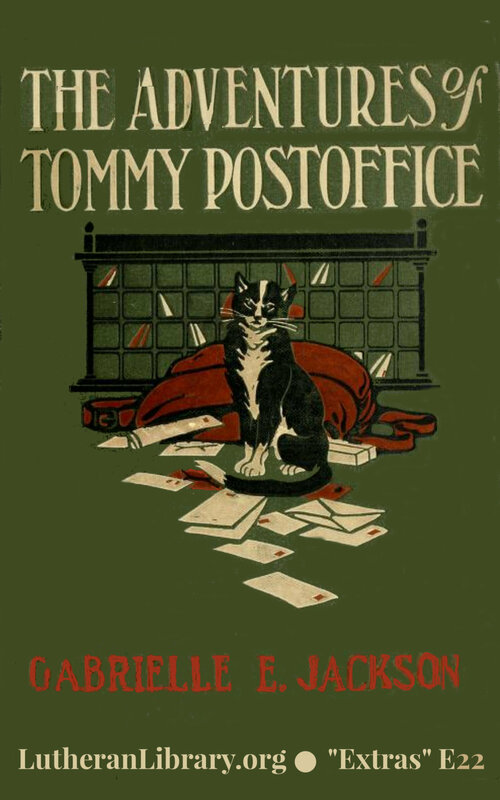 “For years, with great dogs, I toiled and often with them was in great perils. Much of my work was accomplished by their aid. So I believe in dogs, and here in this book I have written of some of them and their deeds.” – Rev. 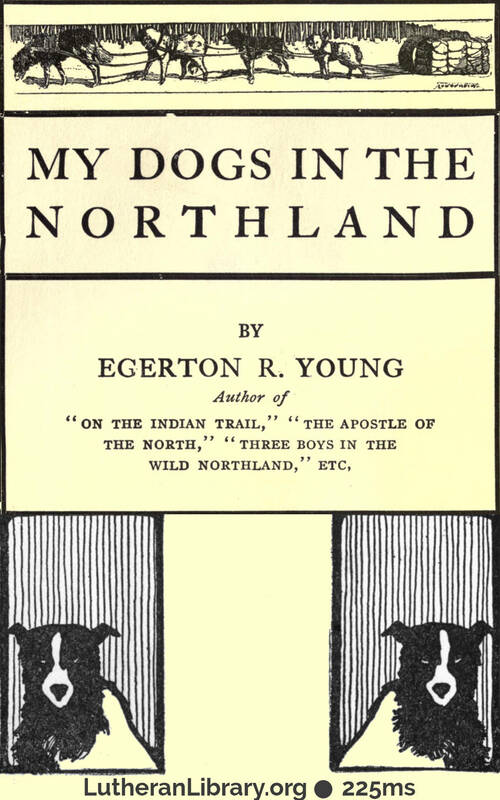 Egerton R. Young, from the Introduction. Thank you for your prayers and - most of all - for your interest in the books. Read them, love them, enjoy them. Your help is appreciated in spreading the word as often and in as many ways as you feel is appropriate.